Vroom Vroom. Do you have what it takes to hop into the driver seat of an F1 Formula Racer? How about a super fast Nascar stock car? Okay... maybe just your everyday grocery getter? We don't care what kind of wheels you have, if you've ever fancied yourself as an elite driver, then you need to have the look of a serious race car driver. And this costume will fit the bill! This sleek jumpsuit has the style to impress at the race track, but it's stylish enough that you're going to feel pretty dressed to the nines when you're out partying too. And of course you're going to be celebrating a championship, because that's what winners do! 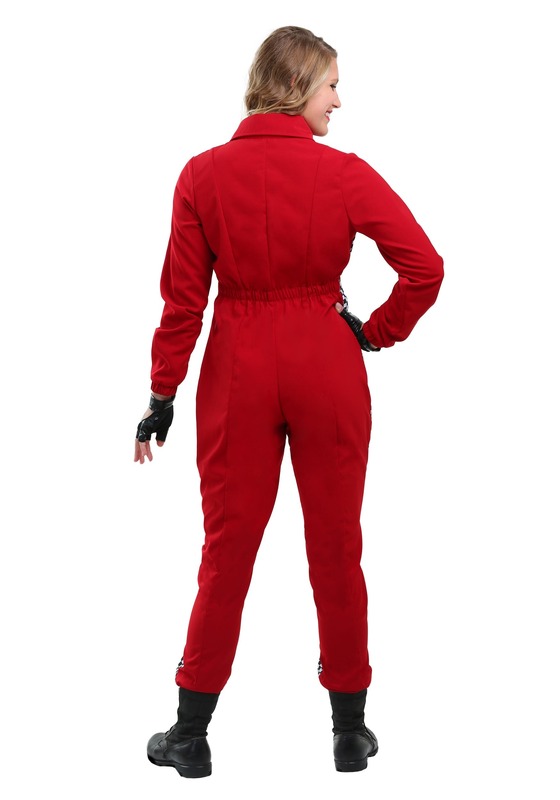 This cool jumpsuit ensemble also includes a belt and fingerless gloves. 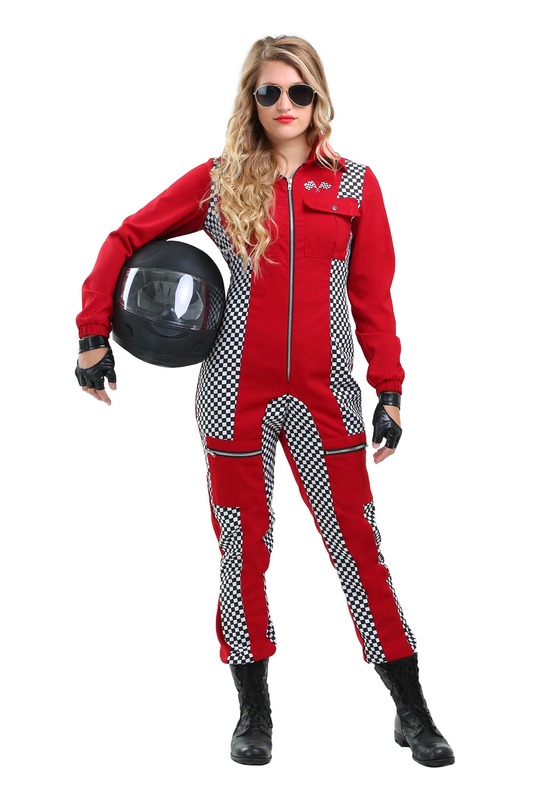 The red jumpsuit features piqued checkered sections for some racetrack style, and with a zip up front and plenty of pockets for your gear, you're sure to feel like a real racer. To seal the deal, simply slip on the gloves and you'll be ready to grab the steering wheel and punch the throttle! Available in women's sizes, this slick racing jumpsuit costume will have you ready for action at the track. Add to your signature style with Aviator sunglasses and a racing helmet (sold separately) and you'll be ready to take your victory lap. You do have your set of wheels ready, right? OMG! I love my costume. The fabric quality is awesome and the fit is amazing. I would definitely order from here again. See you next Halloween.???? It is definitely a good quality costume, well made, and nice looking. For me, below the waist fits great, but I have to say that the top half is rather tight. I will probably try to let the seams out but they are very small.